John I. Welch, Wallace Welch & Willingham, Inc. It has been over 90 years since the agencies that would one day become Wallace Welch & Willingham opened their doors in St. Petersburg, Florida. The agency itself is a melding of 25 agencies that have merged or been acquired over the years. In that time, the agency has seen and endured its fair share of adversity through recessions, bubbles and even war times. A common denominator among all these companies has always been a strong client focus and a desire to perpetuate an independent future. An agency contract between John P. Welch and the St. Paul Fire & Marine Insurance Company was the catalyst for the company known today as Wallace Welch & Willingham. 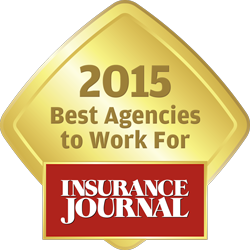 During this time period, both John B. Wallace and Weyman T. Willingham opened individual agency locations. These years were marked by steady growth – and war. William Wallace joined his father’s agency in 1950 but was soon drafted into the military. He returned to the company in 1952 where total gross sales added up to $150,000. Two of the young successors, William Wallace and John I. Welch, had the foresight to imagine an even greater success. By merging their two companies together in 1964, the Wallace-Welch Agency ushered in a new age of blossoming growth. Many more acquisitions were made during this time frame. Prosperity continued, and 1968 brought with it an addition to the company letterhead. The consolidation of the Bennett Agency, Wallace-Welch and the John B Green Agency became Bennett Wallace Welch & Green Insurance Inc.
Company growth prompted the building of a new facility at 2200 16th Street North in St. Petersburg in 1973. Office building on 16th Street North. Wallace Welch & Willingham Inc. was formed in 1984 simultaneously with the acquisition of Stambaugh and Associates and the merger of Bennett Wallace Welch & Green and Weyman Willingham & Co. This event prompted a move to new headquarters in St. Petersburg at 3810 16th Street North in 1986. During this time, Stan Shaver, Bill Wallace, Bob Stambaugh and John I. Welch all retired, leaving behind the knowledge and expertise that brought our company thus far. Their leadership still infuses our company today, and their example as distinguished insurance professionals continues to inspire our employees to follow in their footsteps. Yvonne Wiseley merged Wiseley Marine with Wallace Welch & Willingham in 2001. In July of 2002, the agency moved into the new headquarters at 300 1st Avenue South. This is the agency as you know it today, with Keith and Scott Gramling as President and CEO. The organization’s goal remains the same as it was over 90 years ago: to offer the highest level of service delivery possible to clients.